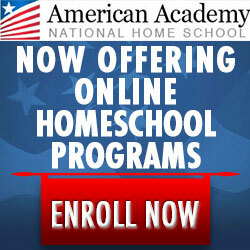 American Academy uses the Accelerated Christian Education (ACE) Curriculum. Math 1 (Grade 1) (PACEs 1001-1012) The student: • Reviews and learns numbers in symbol, name, and number words from zero to ten. • Counts and writes from zero to one hundred. • Solves simple addition, subtraction, and word problems. • Learns to tell time. • Learns the concept of money and counting coins with pennies, nickels, and dimes. • Reviews length comparison: longer and shorter. • Learns liquid measurements: cups, pints, and quarts. • Reviews recognition of basic shapes. • Reviews order of numbers: before, between, after; and contrasting numbers—same, not the same, more than, and less than. Math 2 (Grade 2) (PACEs 1013-1024) The student: • Continues learning to add and subtract, to carry and borrow 2- and 3-digit numbers, solves word problems, and works addition and subtraction facts vertically and horizontally. • Completes timed drills and oral drills. • Learns to relate multiplication to addition. • Counts and writes by twos, fives, and tens; counts and writes from 1-500; writes numbers in place values of 1s, 10s, and 100s; and writes numbers on a calendar. • Recognizes and writes number words. • Learns to identify odd and even numbers. • Reviews telling time. • Reviews numbers that are greater-than and less-than. • Learns to relate cent signs to pennies, nickels, dimes, and quarters. • Learns to measure objects in inches and centimeters, • Recognizes and constructs geometric shapes. Math 3 (Grade 3) (PACEs 1025-1036) The student: • Adds 3-digit to 3-digit numbers, subtracts 3-digit from 3-digit numbers, and solves word problems with carrying and borrowing. • Learns multiplication facts 1-9 with timed drills and oral drills. • Reviews numbers in place values of 1s, 10s, and 100s; writes numbers to count on a number line; reviews and writes on charts; and learns to use picture tables to determine height. • Reviews telling time and learns half-hour, quarter-hour, and 5-minute increments. • Learns Roman numerals. • Learns to divide objects or sets into halves. • Math Builder, a computerized mathematic flash card program, is also available for additional reinforcement and drill. Algebra I (Grade 9) (PACEs 1097-1108) • Basic algebraic concepts (definitions, signs, and expressions) are introduced in a carefully structured way to make the learning material understandable. This curriculum includes principles for logically solving, transposing, and canceling algebraic equations. • Algebraic addition, subtraction, multiplication, and division. • Complex fractions: reducing, simplifying, and solving word problems. • Algebraic graphs—linear equations, consistent, inconsistent, and dependent in word problems. • Quadratic equations, factoring, positive and negative numbers, averages, percents, interest, ratios, • The Pythagorean theorem. • Geometry (Grade 10) (PACEs 1109-1120) • Algebra II (Grade 11) (PACEs 1121-1132) • Trigonometry (Grade 12) (PACEs 1133−1138) This course reflects the use of a TI-83 Plus or TI-84 Plus graphing calculator.